My husband doesn’t normally do much of the cooking in our house but ever since he’s semi-retired he’s really gotten into making breakfast every morning. 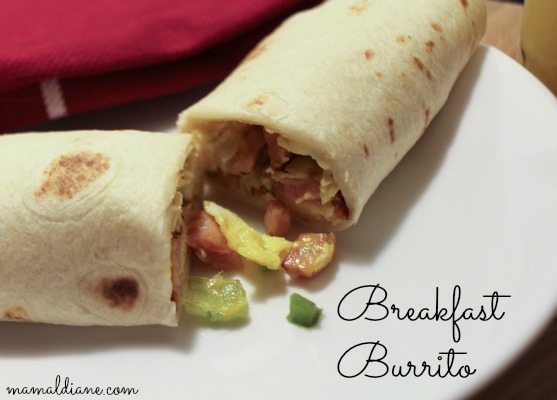 His latest creation is a breakfast burrito. I have to admit these are great on so many levels. They travel well for when I’m on the go. I can adjust them using ingredients that I have on hand. 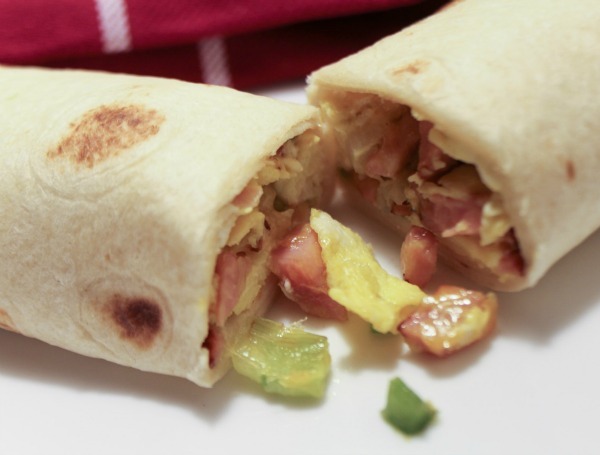 Plus you can make a batch, wrap them individually and freeze for convenience. I tend to eat healthier when I make it easier for myself. 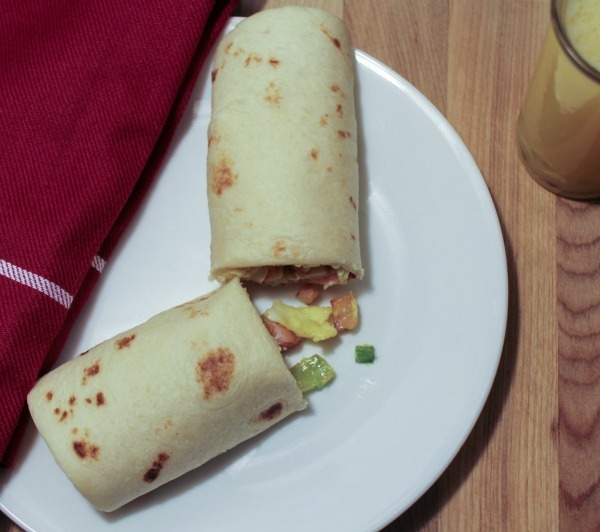 You can add more vegetables or sausage or bacon. The choice is yours. Here’s a basic recipe. 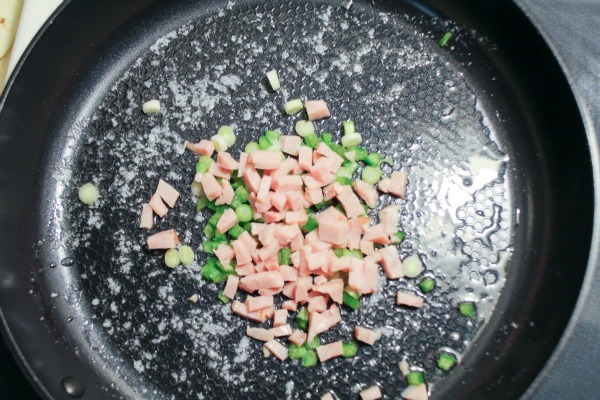 In a large skillet over medium heat saute in olive oil or butter the green peppers, onions and ham for a few minutes. In a small bowl whip the eggs using a fork or whisk. 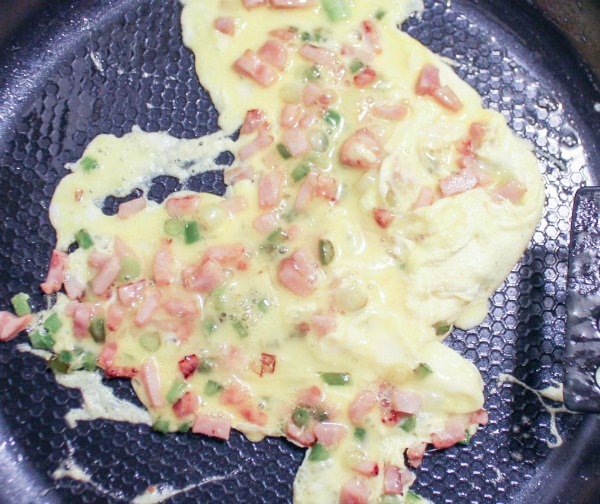 Pour into skillet with the peppers and onions. As they eggs get firmer flip so they can cook on the other side. Chop them up a little bit. Remove from heat and sprinkle with the cheese. 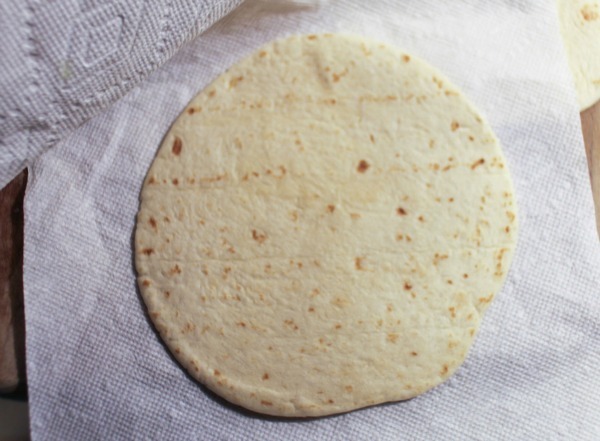 I like to soften and warm my tortilla between two paper towels for a few seconds in the microwave. 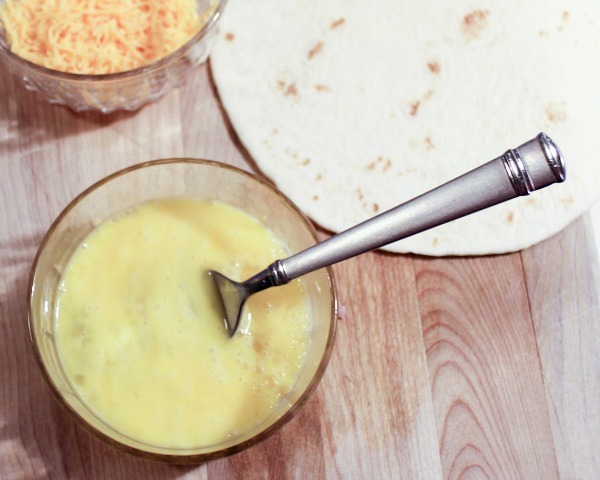 Whip the eggs with a fork or whisk in a small bowl. 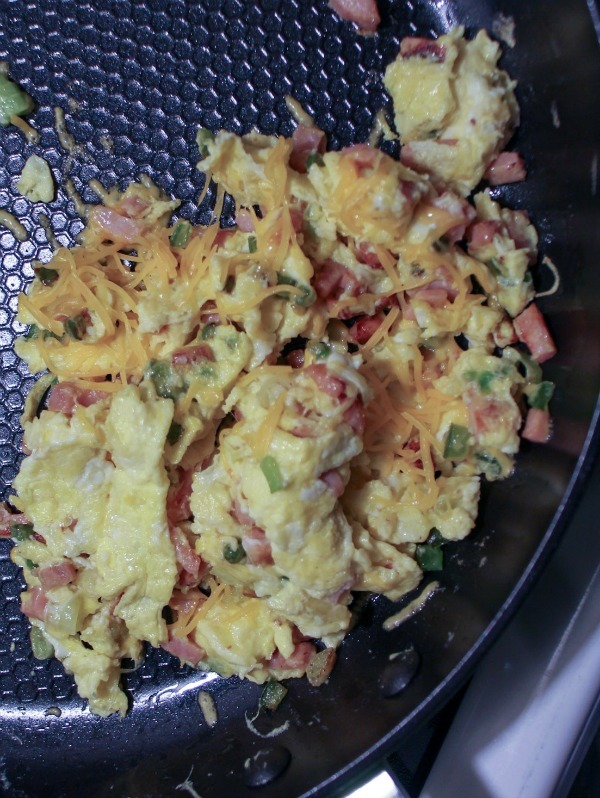 Pour into skillet with peppers and onions, add cheese.